The Spidells were formed in the early 1960s at Tennessee State University. Although based around Nashville, genereally regarded as the home of country music, the Spidells were a central part of the city's R&B scene. 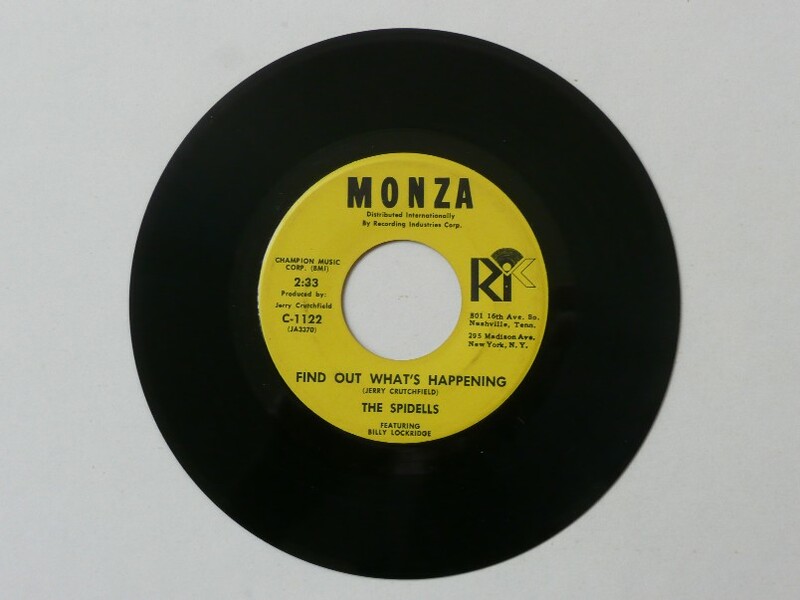 They are perhaps best known for their Coral release "Don't You Forget That You're My Baby," in 1967, but earlier had released tracks on the Monza label, including the 1964 original of "Find Out What's Happening," as the B-side of "That'll Make My Heart Break" on Monza 1122. A British group, The Downliners Sect, soon covered the number. The Sect was one of the many British R&B groups of the early 1960s. The group was formed in 1963 by Mick O'Donnell (AKA Don Craine), after the break-up of his previous group, The Downliners. The original formation of the Sect was Don Craine (vocals and rhythm guitar), Melvin (?) (lead guitar, but soon replaced by Terry Gibson), Keith Grant (bass) and Jonny Sutton (drums). Despite some excellent releases on single, EP and LP, the lack of commercial success led to the end of the The Downliners Sect in 1967. Tell me what you're gonna do?